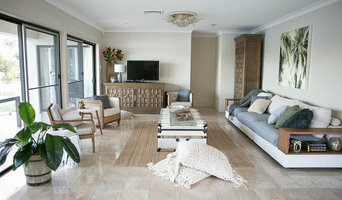 I’m Suz from Grace Your Space - Queensland's only Holistic Interior Stylist and Photographer. Sounds a little bit woo-woo doesn’t it? Let me explain. 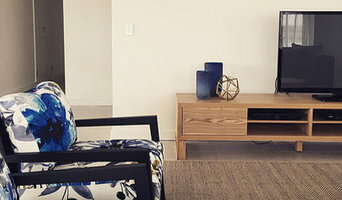 There is so much more to a beautiful, calm, harmonious home than spending up on designer trending styles and furniture. When it comes to traditional interior design, the tendency is to focus on the concrete aspects within the home, the building, furniture, furnishing and objects rather than the more intangible things like light, air, colour, sound, and aroma. We recognise that our homes not only provide a safe haven from the stresses of the world they also have a profound effect on our emotional and mental health. Our home reflects our moods and if it is well designed it can also give us a healthy and peaceful sanctuary where we can relax and flourish. Thousands of people spend hours dieting, exercising and having various health-giving treatments; but few take time to consider that their efforts will be in vain if they live and work in an unhealthy environment. The aim of the Holistic Interior Stylist is to harmonise people with their settings by manipulating and improving the subtle atmosphere in a space without having to always buy new and expensive furniture. The focus is on sustainability, environmentally friendly products and repurposing where possible. My intention is to positively impact wellness and harmony by transforming places into authentic, liveable spaces. Simply put, I can make your home look, feel and smell stunning in a cost-effective way. Ready to Grace Your Space? I can’t wait to hear from you. Hidden Gem offers a broad range of design, decoration and styling services for residential, commercial and hospitality clients. We believe that a fantastic resolution is always possible regardless of the scale, location or client needs and requirements. Interior Stylist for beautiful homes! Claire Gradwell is a fully qualified Interior Designer. She obtained a Bachelor of Design (Interior Design) with honours from the Queensland University of Technology in 2009. Since graduating she has gained experience in residential design, visual merchandising and property styling. Claire Gradwell Interior Design offers a range of interior design and colour consultation services. We specialise in creating beautiful spaces that reflect the owners’ personality. Whether you are looking to update your home or readying your house for sale, Claire Gradwell Interior Design can help you combine your existing pieces with strategic new buys to create the ideal space for the ideal budget. Healthy Home Designers | Interior Designers | Helping You Decorate, Renovate or Build a Natural & Healthy Home. Hi, I am an interior designer and interior architect with over 25 years experience, a healthy home designer and a student building biologist. I am passionate about creating unique, natural, healthier, chemical free homes and empowering you with the knowledge to create a healthier home for you and your family. 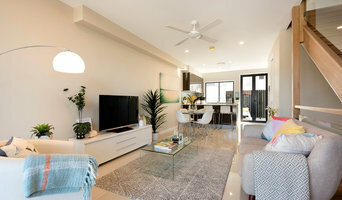 Based in Brisbane, the stylist team of IndigoJungle provide interior styling and design services which blend the new and the old, to deliver spaces that are individual, warm and perhaps sometimes, unconventional. 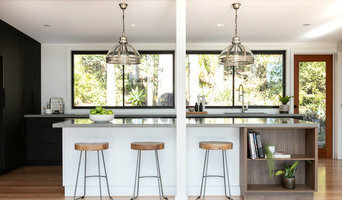 IndigoJungle Pty Ltd represents the combined creative talents of interior stylist Vanessa Cribb and her team. With visual art and design backgrounds, Vanessa believe in their capacity to visually enrich and illuminate the image and experience of architecture and interiors. 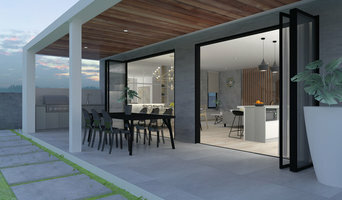 Collaborating from concept to realisation they imagine, source, style and install with and for architects, photographers, home and business owners. Design Vision now specialises in all areas of design for property clients in mixed use and multi-residential projects, creating the overall design vision to the interior. Design Vision designs and manages the whole design process providing branding, signage and interior design, giving you one designer to liaise with. Revy manages her multi disciplinary design team as a team of one - different skills rather than divisions, and in collaboration with specialist design consultants and manufacturers. Revy's style is timeless, yet contemporary and her approach is hands on. One on one with her clients perfecting every detail of the project. Interior Design | Decoration | Styling Brisbane based interior design studio focussing on clean classic contemporary style. Our philosophy is that everyone deserves to live in their dream home - a beautiful space that reflects their personality. We hope to be able to help you to fulfil that dream. Offering a range of services to suit your style, budget and home we will work closely with you to define your unique design style. Most of all, we're here to listen and to provide solutions, as we understand just how daunting making the right design choices can get when decorating your home. Let us help you with that! Newstead Interiors is an interior design service for the discerning, quality conscious client that seeks assistance in their design choices for both residential and commercial applications. With experience in architecture, interior design and decoration, our team’s talents complement each other, ensuring quality from design though to installation. Brisbane Showroom/Studio open by appointment only. Brisbane based design company that specialises in boutique interior architecture and residential design. We will work closely with you and your team to ensure your project fits your passion, your lifestyle, your budget and your time frame with honest and realistic advice that you can understand - it's all about you. Whether the design is to live in, work in or sell on, we tailor our services to suit your needs. Heather grew up on the East Coast of the US. Heather showed a creative interest at an early age.Know for her thoughtful approach through listening and designing for lifestyle. She helps the client by communicating the client through the entire design process, constantly managing expectations, pushing the boundaries for completed detailed result.